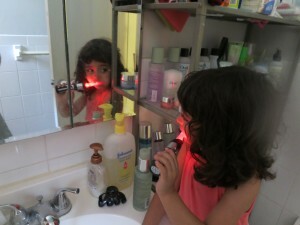 » Firefly®’s Star Wars Lightsaber Toothbrush Makes Brushing Fun For Sienna – FINALLY! Firefly®’s Star Wars Lightsaber Toothbrush Makes Brushing Fun For Sienna – FINALLY! Sienna solemnly appears in the bathroom, head down, feet shuffling. She hates this. She hates brushing her teeth. 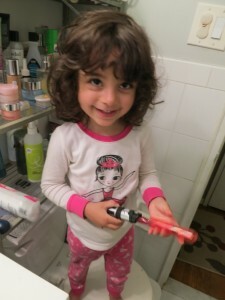 She’s 3 years old and wants to play and brushing her teeth is an annoyance of epic proportions. 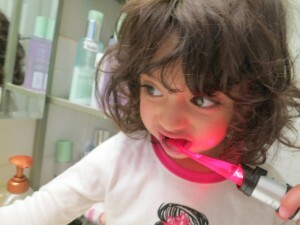 I’m sure most of you parents of toddlers have experienced the sudden lethargy when it comes to teeth brushing. It’s frustrating for us as much as it is for them. It was especially frustrating for me because Sienna outright refused to do it herself despite wanting to take control of every single activity in her life. I had to stand there and command her to open her mouth, teeth together, stop eating the toothpaste and chomping on the brush. Torture. Pure torture. I couldn’t understand it and I needed a solution. Then a friend of mine told me about Firefly®’s Star Wars Lightsaber Toothbrushs and our lives changed. 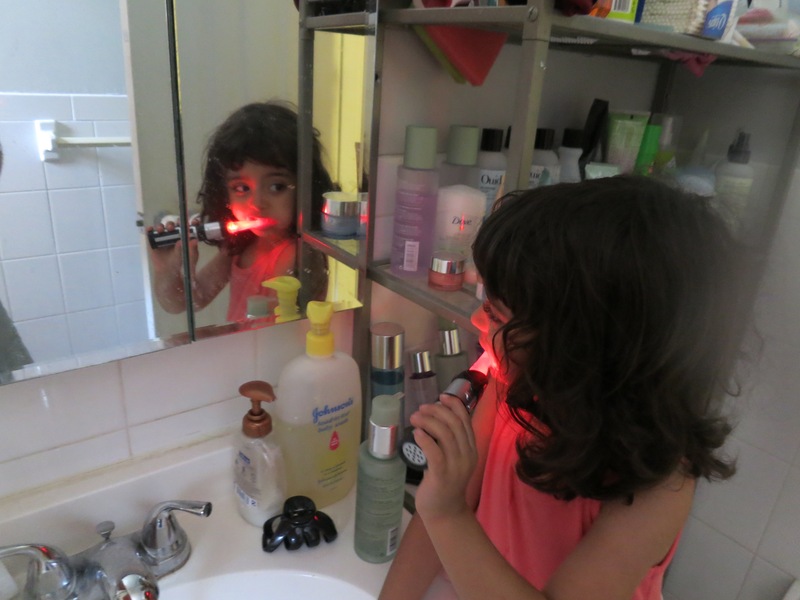 There were 2 choices: a blue Obi-Wan toothbrush and a red Darth Vader. No question. Welcome to family, Darth! I’ve been teaching Sienna about Star Wars and this toothbrush fell right into my desire to share one of my favorite childhood loves with my daughter. Utter fascination! You press a button and the Dark Sith Lord tells you to join him to complete your training or you just hear his famous breathing. Suddenly you’re awash in a blinking red lightsaber complete with the glorious lightsaber sounds. 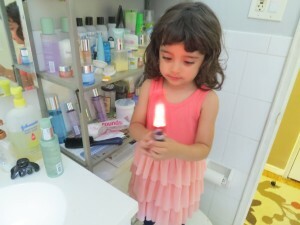 The sounds and lights keep going until it’s time to stop brushing at which point Vader tells you that your skills or complete or more importantly, “The Force is with you!” which Sienna always repeats with a wide, gleaming smile on her face. And most importantly, Sienna DID IT ALL HERSELF!!! I just had to do a quick brushing afterwards to make sure she got all of her teeth for the Tooth Fairy wants nothing less than pearly whites. Firefly® gets it. They’re able to instill healthy habits and allow toddlers and kids to take control of teeth brushing without them even realizing it. Lights, sounds, favorite characters and play. And it works. It really does. 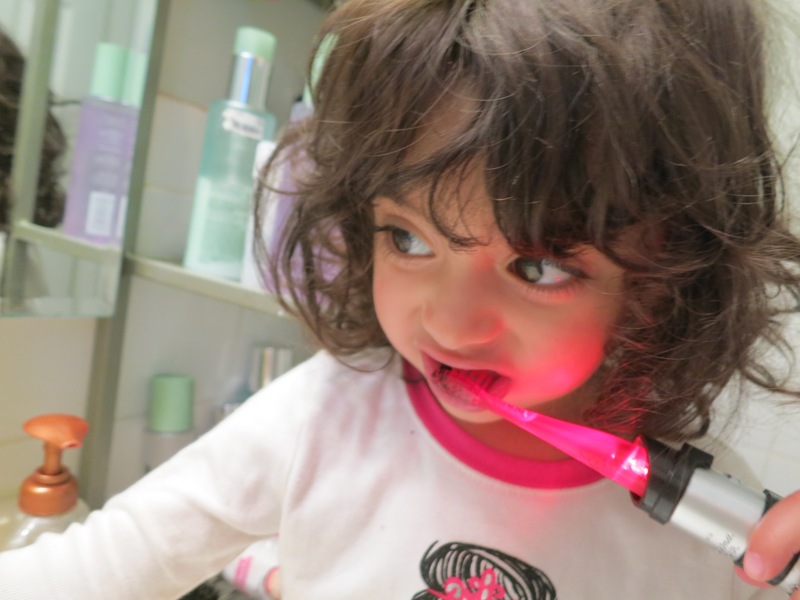 Within a few days Sienna fell in love with brushing her teeth. To make things even better Firefly®’s running a #BrushBattle Sweepstakes until the end of June. Just enter your info and you have a chance to win a trip for 4 to an awesome California theme park! Of course, if you enter, it means I have less of a chance of winning, but I’ll allow it. So go out and pick up one of these fantastic Firefly® toothbrushes. You won’t be disappointed. 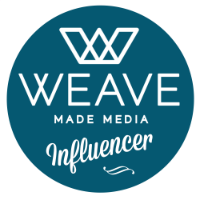 Disclosure: The writer was compensated monetarily or via product for this post. Love this. I’m not going to lie; my wife brought me home the Obi-wan toothbrush from a conference recently. *I’m* having more fun brushing with one of these. Never too old.